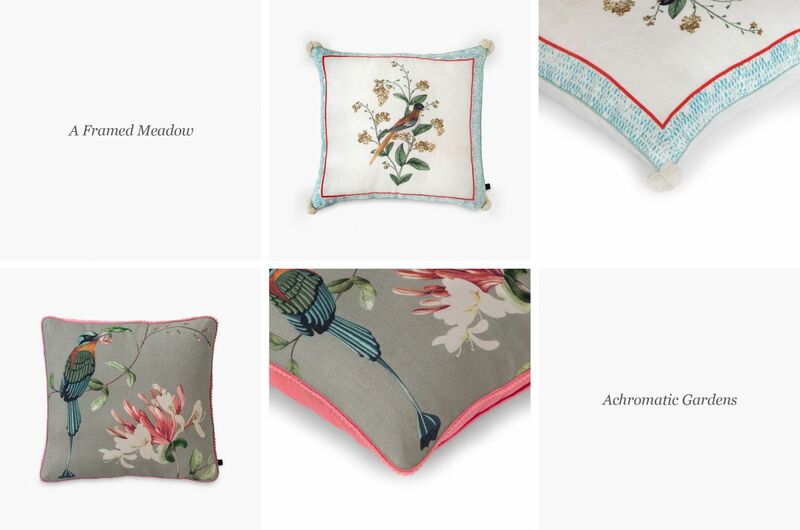 The charm of Persian Gardens, now available in cushions! Persian poems have long confirmed the eloquent testimonies, claiming the significance of gardens in the Persian culture. 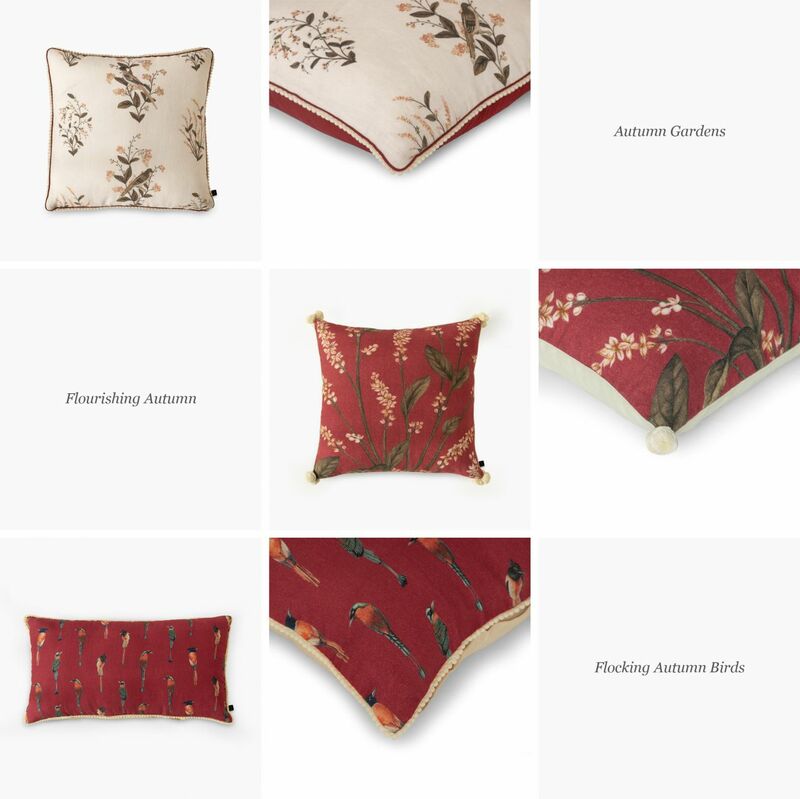 In this collection of cushions, we bring to you, visual tales of mesmerising Persian Gardens wafting through various seasons. The hues of red, brown, golden yellow revealing the underneath beauty of nature, bringing out the rejuvenating and restful vibes of the Autumn season. 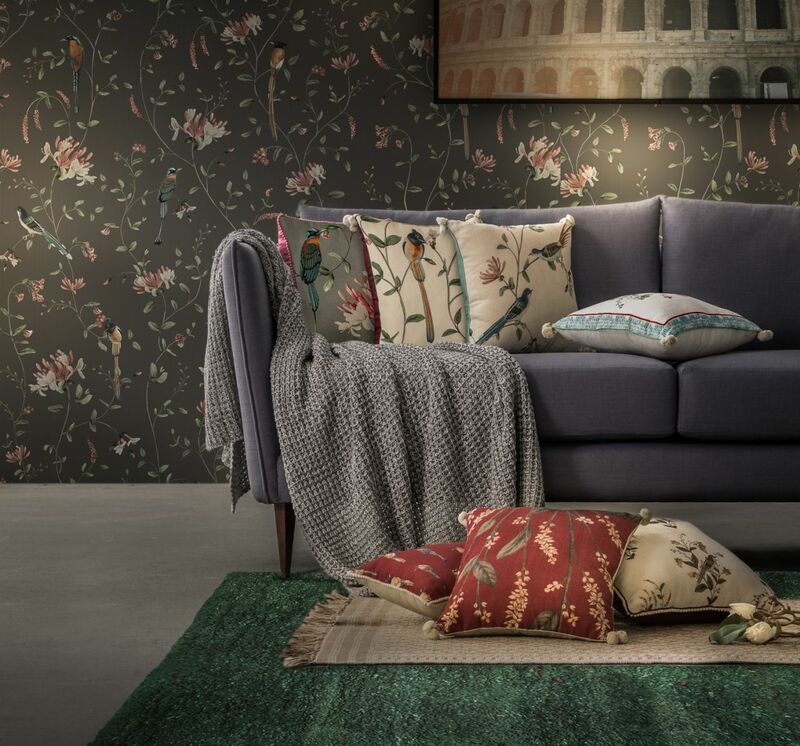 Reminiscing on the season gone by, these designs bring to life the Winter embrace and will leave the onlookers in awe of Nature's picturesque. 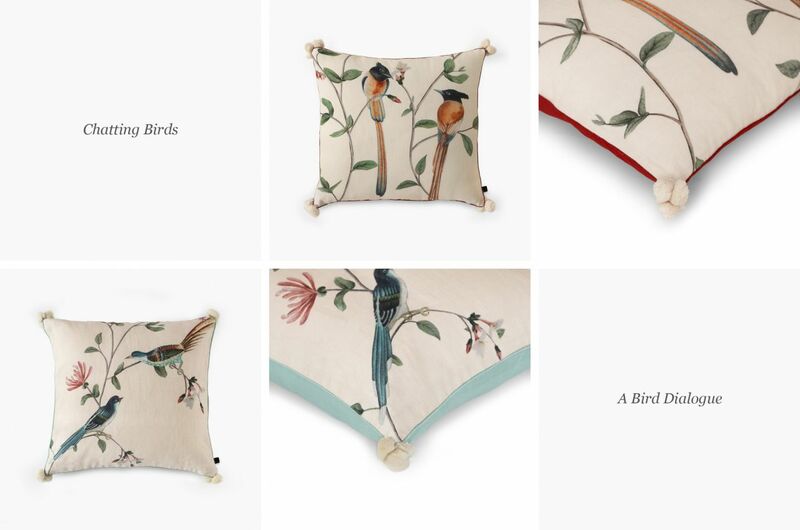 The fresh sunlit sky, the new damp air bringing in the delicate blooms, these designs narrate the tale of the exotic birds relishing the quaint season of Spring. With refreshing details like decorative lace and pom-poms, these cushions are sure to bring in the outdoors of every season in a contemporary style!